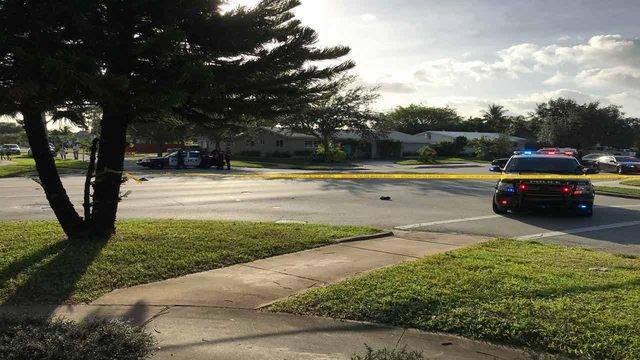 A pedestrian was struck and killed Tuesday morning on North 46th Avenue in Hollywood. HOLLYWOOD, Fla. - A pedestrian was struck and killed by a vehicle Tuesday morning in Hollywood, police said. The fatal crash occurred on North 46th Avenue, just south of Sheridan Street. Hollywood police said the victim was pronounced dead at an area hospital. A shoe could be seen in the middle of roadway. North 46th Avenue was closed between Sheridan Street and West Park Road during the traffic homicide investigation.